This place opens only in the evening but closes past midnight! I have not been here when it's never packed. In fact, at peak hours, there could be a line. I guess good food, service and price will always succeed - if you are in the restaurant business. I come here for good food. It's basic and the atmosphere is basic. 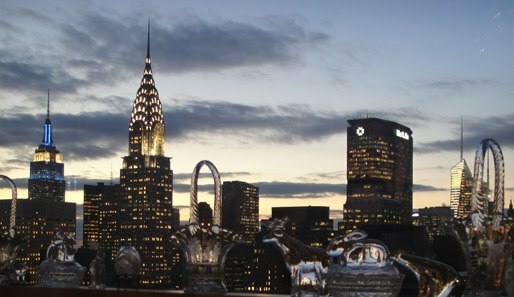 It is located right in midtown Manhattan by the Theater district. Fortunately, it is not on street level; otherwise their price would be higher. I like it that it's not easy to see but if you know it; you'd eat here. I heard that some chefs actually come here to eat after work. I guess because they serve tapas size food and have a variety of sake to serve. 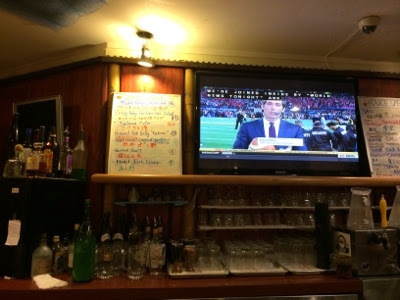 I sat at the bar area tonight. No one actually ordered the sake but beer or green tea. Tonight, I went for the specials on the board. This is the baby sardine in "jako" salad. 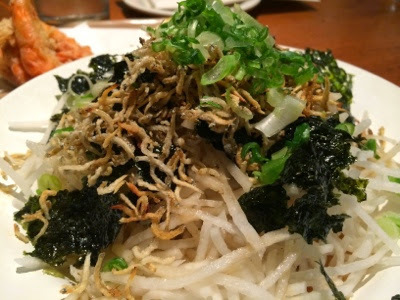 It is served on a heap of julienned radish, some lettuce and fried seaweed or nori. The dressing is under the salad made like a Japanese vinaigrette. 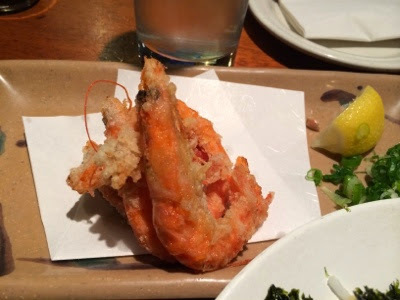 Above is the soft shell shrimp served with ponzu sauce. And of course I couldn't help but order from their regular menu, barra. 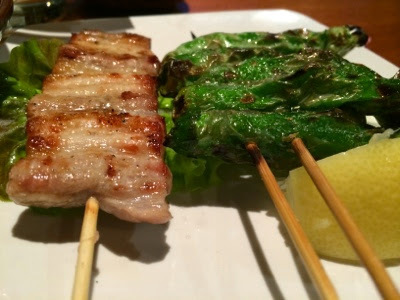 It's sliced pork belly skewered in stick and grilled. Another irresistible item was the shishito peppers. I was happy to have the best meal for 2015 without breaking the bank. Open 5:30PM-3:30AM 7-days a week!